Friday, August 24, 2018 IPIEF and EKPI FEB UMY held new student parents gathering with IPIEF and EKPI lecturers. 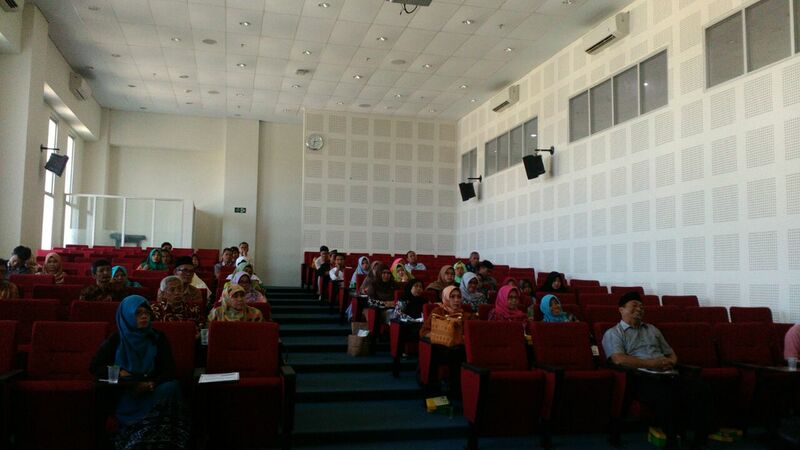 The event which took place at the Amphitheater B, E7 building, at 12:30 pm until 03:00 pm was attended by 50 parents of new students IPIEF and EKPI. On this occasion, also attended Dr. Imamudin Yuliadi, SE, M.Sc (Head of EKPI Study Program), Dimas Bagus Wiranatakusuma, S.E, M.Ec., Ph.D (Director of IPIEF), Diah Setyawati Dewanti, SE, M.Sc., Ph.D (Secretary of EKPI study program) and Dr. Endah Saptutyningsih, S.E., M.Si (Vice Dean of Academic Affairs). In addition to the general description of IPIEF and EKPI, on this occasion also presented the benefits of being IPIEF students who will get during studies and after graduating from the IPIEF and EKPI study programs, as well as job prospects and descriptions students can get in the future after graduated from the IPIEF.